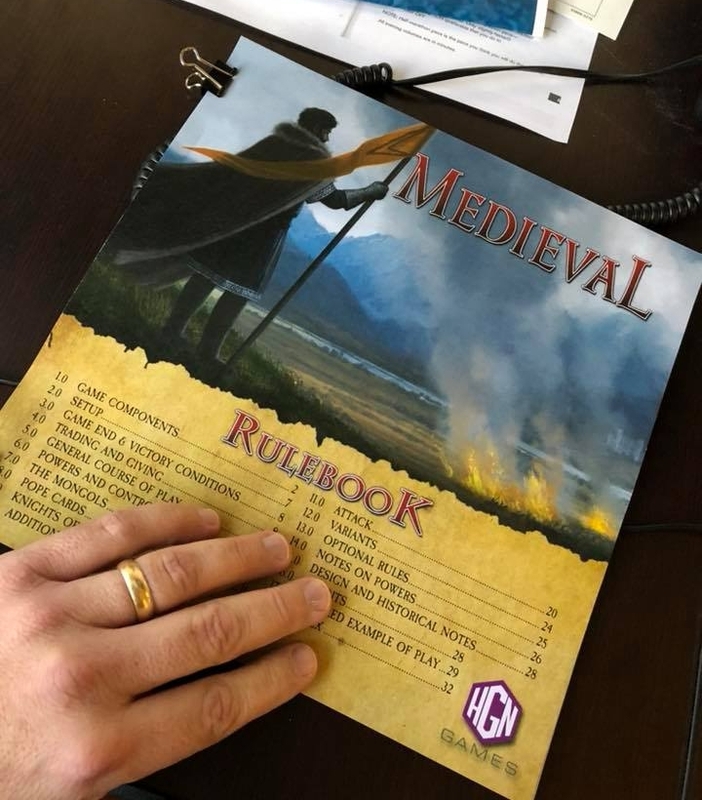 In case you missed the pics we posted on the Facebook page this morning, here's a look at a prototype of the rulebook. We're in the final stages of proofing and re-proofing the bejeebers out of it now. And you know what? Everyone at HGN will always get the word "medieval" right on their spelling test from now on. As you can see, it's in a large format (think something around the size of a Ticket to Ride rulebook) and loaded with illustrations. 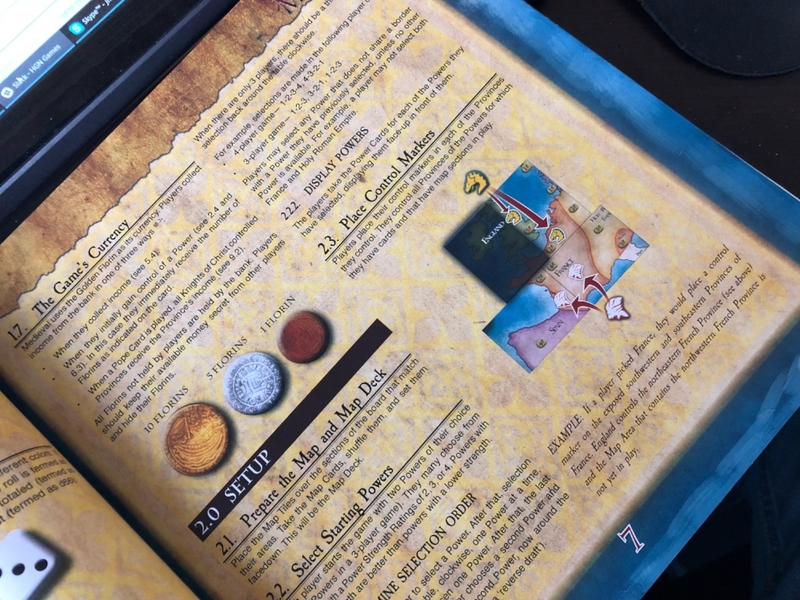 If you look at the contents, above, you'll also see that the last 10 pages or so full of historical notes, examples of play, and a breakdown of the powers in the game. Look for more pics of the components to come as the game makes its way through the production process. And if you didn't get in on the Kickstarter, no worries--there's still time to order! Swing on by our CrowdOx page.